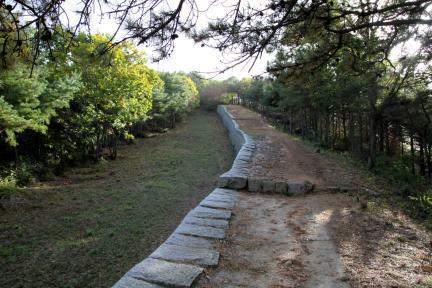 갑곶진과 함께 강화의 입구를 지키던 조선시대의 성이다. 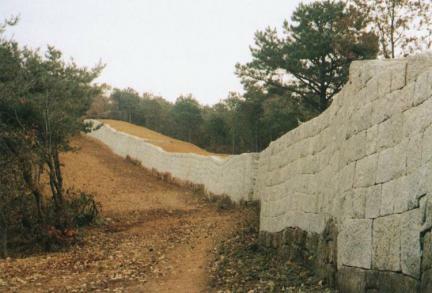 조선 숙종 20년(1694)에 돌을 이용해 쌓은 석축산성으로 순조 12년(1812)에 고쳐 쌓았다. 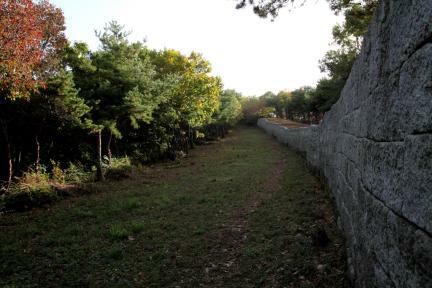 잘 다듬어진 돌로 견고하게 쌓았고, 그 위에 몸을 숨기기 위한 방어시설인 여장을 둘렀다. 당시의 성문은 취예류·공해루 등 3개의 문루와 비밀통로인 암문 3개가 있었다. 이 중 취예루는 갑곶진과 마주보는 해안에 있었으며 육지로 나오는 관문의 역할을 하였다. 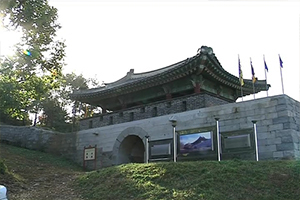 현재 해안 쪽의 성벽과 문루는 없어지고 마을이 되었으며 산등성이를 연결한 성벽만 남아있다. 고종 3년(1866) 병인양요 때 프랑스군과 치열한 전투를 치른 곳이다. 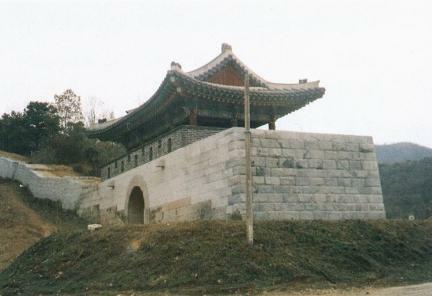 Munsusanseong Fortress was built during the Joseon Dynasty to protect the entrance of Ganghwa along with Gapgotjin Fort. 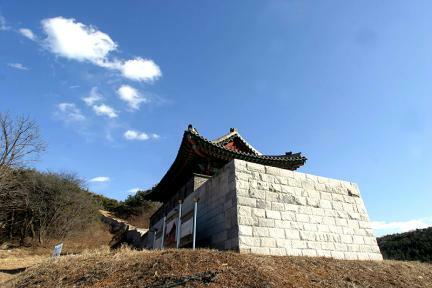 It was made in the 20th year of the reign of King Sukjong (1694) and modified in the 12th year of the reign of King Sunjo (1812). 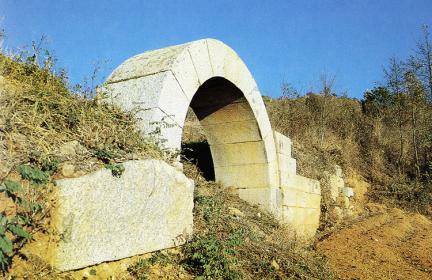 It was built solidly with smooth stone. 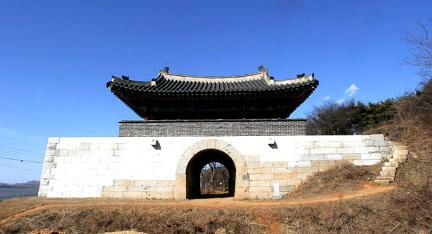 Above that, defense facilities circled the fortress, which at that time consisted of a three-gate tower including Chwiyeru and Gonghaeru and three secret gates. 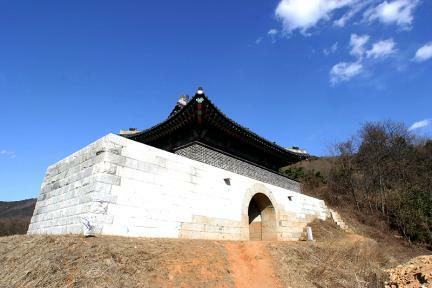 Located in the coast facing Gapgotjin, Chwiyeru played the role of gateway. 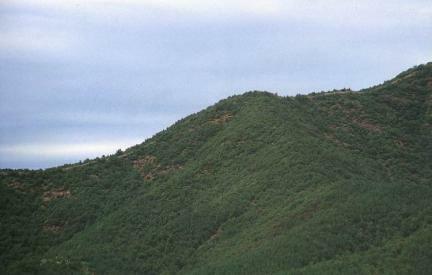 Today, the wall in the coastal area and gatehouse are gone; only the wall connecting the mountain ridge remains. 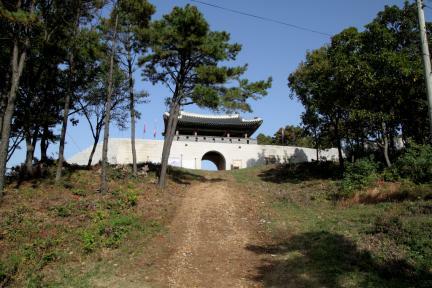 It was where a fierce battle took place during the French Invasion in the 3rd year of the reign of King Gojong (1866).